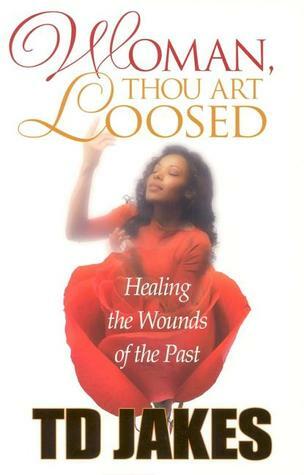 Title: Woman Thou Art Loosed. For many women, the greatest tragedy is not the injury or injustice itself but the incapacitated soul left in its wake. ~ T.D Jakes. Whether due to childhood tragedy, failed marriages or relationships, widowhood, or our own choices, he skillfully guides us through Word and Wisdom. Women were created as nurturers and whatever you nurture must show forth, whether good or bad, pain or joy. Psalms127:4 As arrows in the hand of a mighty man, so are the children of youth. Bishop Jakes is quick to point out that parents must place their ‘arrows’ in bows that will catapult them into their future, while strengthening them emotionally and psychologically. This makes a lot of sense with the current state of families. I think, in my opinion, that if you’re parents are at least civil towards each other; you should count yourself lucky. Stable families lead to emotionally and psychologically stable children with high self esteem. Bishop Jakes further points out the harm caused by sexual assault, worse by a family member as in the case of Tamar. Low self-esteem, victimization and vulnerability becomes evident in that persons life. However, there’s rest. Mathew 11:28 Come to me all who are heavy laden, and I’ll give you rest. Bishop shows how the Lord wants us covered, as the married woman is covered by the husband.To be strong single women and get married for the right reasons, not because of the pressure not to fornicate, or age. To leave and cleave in faith. Learn the language of your significant other. Stop babbling in Babel.He guides the married women how to save their husbands from the laps of Delilah.Do not be ashamed of your pasts, the best nurses are the ones that have been patients. The 175 pages seemed too little. I would have loved a bit more depth but that’s okay. I would recommend the book; To every girl,married women or anyone who may feel broken on the inside, or who knows such a person. Or basically women. God never loosed anybody that He wasn’t going to use mightily. Solitude; Let your Toes Burrow the Sand.